At Clark’s Advanced Pest Control we offer a variety of services to fit your needs. Below is an overview of the types of services in which we specialize. Please click on the “Read More” links for more details about each type of pest. We provide two types of preventive services. 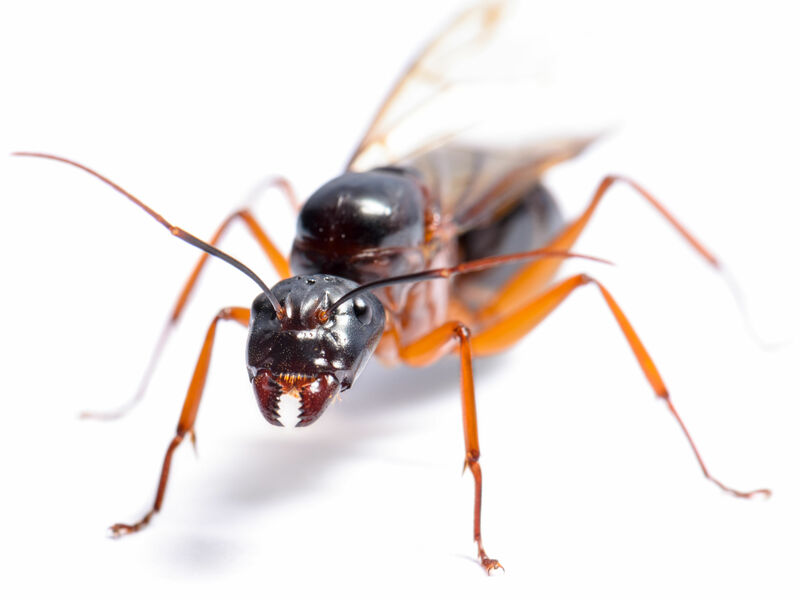 Our basic, or Single Pest Control, covers one pest, whether that be carpenter ants, rodents, spiders — whatever else your concern may be. The single pest program starts with initial treatment cost followed by two monthly treatments to gain control of pests. Then we’ll transition to quarterly on a service-to-service basis. 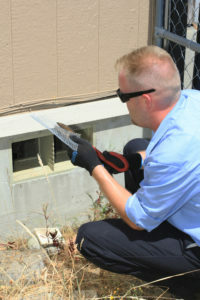 The Advanced Pest Control starts with your initial cost followed by two months of the services to gain control of pests. Then will transition to quarterly service to maintain control on a service-to-service basis. If there are any issues in between services we will come out at no cost to you. The most prevalent types of rodents in Washington are rats, mice squirrels and moles. In addition to native rats, non-native rats are very common in the Pacific Northwest; they're often referred to as Old World rats as they were brought to North America on early voyagers' ships. Because of their adaptability, they're now found in homes throughout the region. Rodents like rats are often most active at night, although when there's a change in weather, they're hungry or their living conditions become crowded, it's not uncommon to see them any time of day. To learn more about how to determine if you have a rodent infestation and how Clark’s Advanced Pest Control eradicates them, click here. Carpenter ants are very common in the Pacific Northwest; they nest in wooden substances, burrowing into trees and logs in nature or furniture, walls and doors in your home. Carpenter ants are often mistaken for termites because they also have wings and can damage the wood in your home, but unlike termites they don't actually eat the wood; they just burrow into it as a nest. You're most likely to see carpenter ants between spring and fall, especially after dusk. They love damp weather, which is one reason they're so common in this area. To learn more about how to determine if you have a carpenter ants infestation and how Clark’s Advanced Pest Control eradicates them, click here. As their name implies, moisture ants are attracted to damp areas; this is where they build their nests. With this in mind, it is not surprising that these types of ants are very common in the Pacific Northwest. Moisture ants look for wet, rotting wood to build their nests. They often find cracks in a home’s foundation or crawl space and look for decaying wood; if they’re successful, they’ll set up a nest. They’re most commonly found in areas of your home that are damp or surrounded by water, such as bathrooms, laundry rooms, basements and crawl spaces. Wood shavings near cracks in your molding or siding. Listen for rustling sounds in the walls. Look for ant trails between decayed wood in your yard and your home’s foundation. To learn more about how to determine if you have a moisture ants infestation and how Clark’s Advanced Pest Control eradicates them, click here. 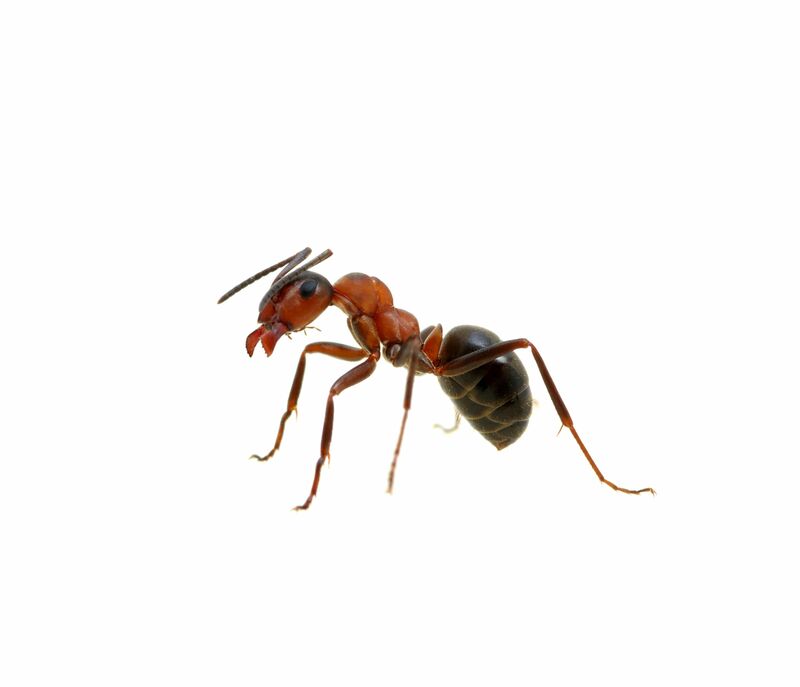 To learn more about how to determine if you have a odorous ants infestation and how Clark’s Advanced Pest Control eradicates them, click here. 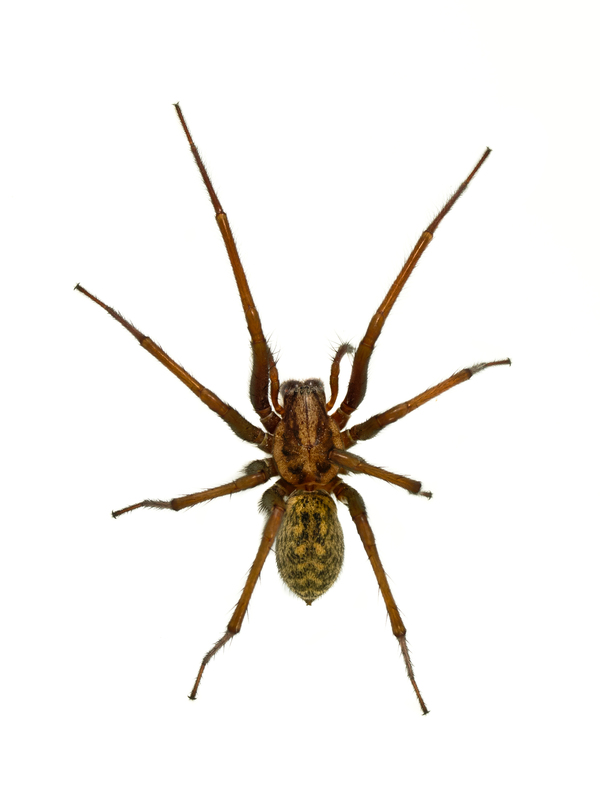 You may know what spiders are, but in the Pacific Northwest the most important species for you to be aware of is the Hobo spider. The easiest way to identify these arachnids is by the distinctive yellow marking on its abdomen. It’s easy to miss their bite at first, but their wounds heal very slowly and can become moderate to severe. If you think this type of spider may have bitten you, please seek medical attention. The easiest way to tell if you have spiders is by the spider webs they leave in the corners. This is also a type of pest you’re likely to just spot on your own. To learn more about how to determine if you have a spider infestation and how Clark’s Advanced Pest Control eradicates them, click here. If you do spot a nest, make sure you avoid it as they can be very defensive when its disturbed. 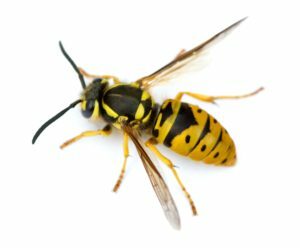 In fact, when one is attacked they release a chemical that attracts other wasps, so it’s best to leave it alone and call someone that can help with pest control. To learn more about how to determine if you have a wasp infestation and how Clark’s Advanced Pest Control eradicates them, click here. 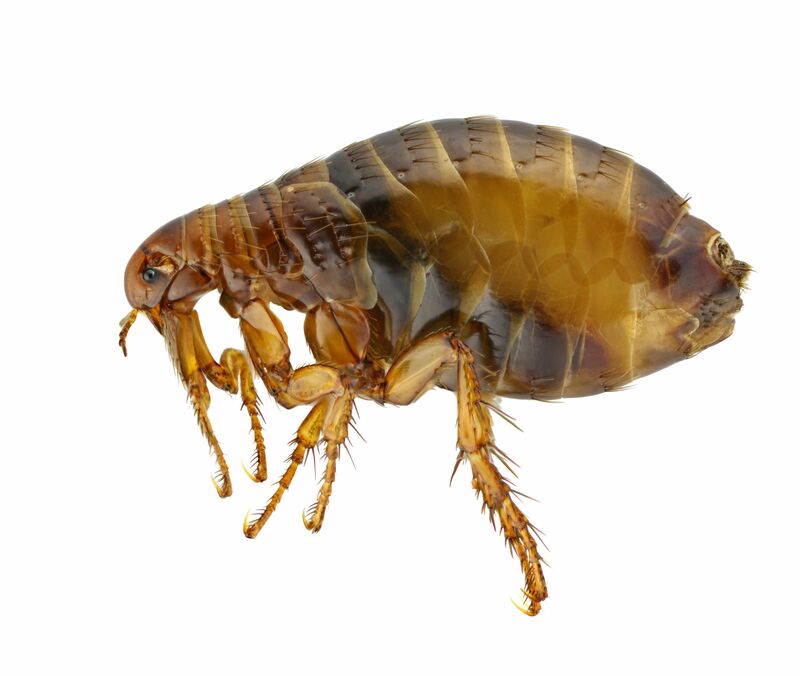 Fleas are 1-3 mm in size and a shiny, reddish brown in color. Although they’re most often associated with cats and dogs, they can also live and feed on the blood of humans, birds and reptiles. Fleas don’t have wings, but they are able to jump long distances (nearly 4 feet), making it easy for them to move from one host to the next. Even if you don’t have pets, it’s possible for your home to be infested with fleas. 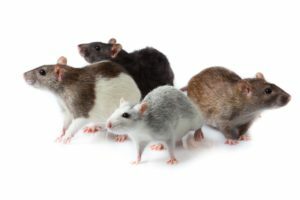 Another pest, such as a mouse or rat, could bring them into your house; even if the rodent is removed, the flea infestation could continue as these pests will move on to other mammals in the home, such as the people that live there. The most common indication of fleas is your pets scratching themselves. Adult fleas are also large enough that it’s possible for you to see them jumping from one host to another – especially if the infestation is widespread. On the other hand, their eggs, larvae and pupae are much harder to spot; look for them in bedding, cracks or grooves in your floors or buried in your carpet fibers (they look kind of like salt and pepper). To learn more about how to determine if you have a fleas infestation and how Clark’s Advanced Pest Control eradicates them, click here. Mr. Clark explained exactly what he was going to do to solve our bee problem. He was friendly, efficient, and the problem was solved without issue. He did let us know that if they came back to call and he would come back. Not a problem. Thanks Clark's. Would highly recommend. One of the rare pest companies that does not charge for an estimate, Clark's does complete work the right time, the first time. They are great guys. Get right to business, and I swear it was light turning a light switch on or off. They stopped all bug activity almost Immediately. Very friendly and very effective! I would not hesitate to recommend these guys to anyone. Great service from a "family friendly" tech. What a relief to know all products used were safe for a kid backyard...and no swearing or scary looking techs. My kids love to see the "bugman" and we love NOT seeing the giant spiders! Also helped us to see evidence of rodent activity and gave us great advice on our options. Absolutely recommend Clark's. Clark’s Advanced Pest Control is professional and responsive. They provided a detailed list of what my options were (including price) and explained the process, time, materials and expectations…within two weeks the foundation was sealed off and the rodents were exterminated; permanent preventive measures were put in place to keep them out. Luke was very conscientious about the quality of his work. Highly recommended for any of your pest control needs. See all our reviews on Home Advisor!